Design and Politics was a studio of the Department of Urban Planning and Design at the Harvard University Graduate School of Design that occurred spring 2014. From the introduction: Contemporary spatial design faces a political paradox. To address emerging environmental challenges and the risk of climate-related disasters, it must transcend political boundaries to operate regionally, at the scale of “landscape urbanism.” But the regional scale does not exist as a formal governance structure and when regional authorities do exist, they are not politically sanctioned to make broad decisions about policies, projects, and investments. 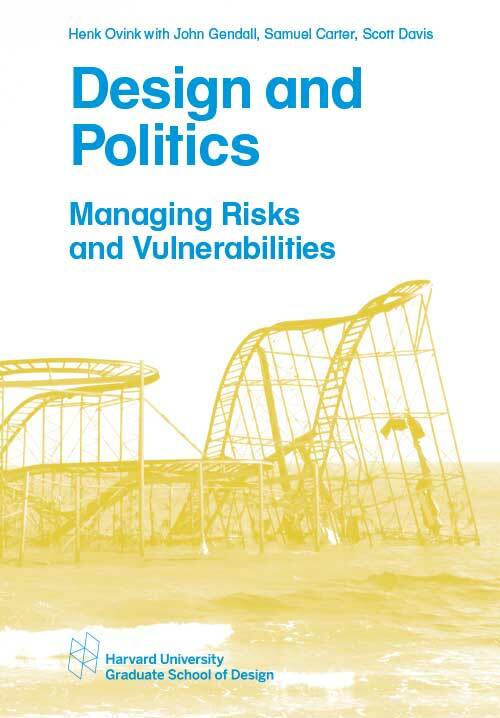 Meanwhile, the formal governance structures that have authority to act often lack the capacity to implement comprehensive approaches that enhance resilience over time, or the strategic partnerships to collaborate on the necessary scale. With this in mind, designers must engage both space and politics, proposing environmental strategies at the scale of the region connected with a series of localized interventions, while exploiting the tension between the two, constructing political coalitions that have the authority to see those interventions through. Thus in the Hurricane Sandy-affected region after the 2012 storm, states, counties, and municipalities grappled with the reality of sea-level rise and climate risk. The Presidential Hurricane Sandy Rebuilding Task Force sought an innovative approach and in June 2013 launched the Rebuild by Design competition, a collaborative process for driving resilience across the region. The Design and Politics studio, like Rebuild by Design, aimed to find ways of directing disaster-relief spending across political boundaries and identified layers of risks and vulnerabilities by designing spatial and political systems with significant regional impact. Available for purchase from the Frances Loeb Library and Amazon.com.